You can help Miranda continue her work to protect Tasmania’s forests! After spending so long in a tree to protect these forests for all of us, let’s help Miranda! Please contribute to the Observer Tree fund online to help Miranda continue her work on the ground. On Thursday March 7th, 2013 Miranda reluctantly had to descend out of the Observer Tree, back to the ground, due to the imminent threat of a wildfire within kilometres of the tree. Miranda spent an incredible 449 days in the Observer Tree, but the campaign is not over! These forests have now been nominated for World Heritage status by the Australian Federal Government, but right now these forests are still being logged. Environment Minister Tony Burke needs to take action now to stop the logging in these forests while they await official world heritage listing in June. Miranda needs your support now, to help pay for the daily costs of phone, internet, transport and other ongoing costs of the campaign while she gets her feet back on the ground. The transition to life back on the ground after 15 months is a big process, and your help would be greatly appreciated in making it easier. Since being back on the ground Miranda has been doing lots of media interviews and enjoying the pleasures of ground dwelling life – like a hot bath! Miranda Gibson has spent 449 days living in the canopy of the Observer Tree, an old growth Eucalyptus deep in the heart of Tasmania’s threatened wilderness forests. 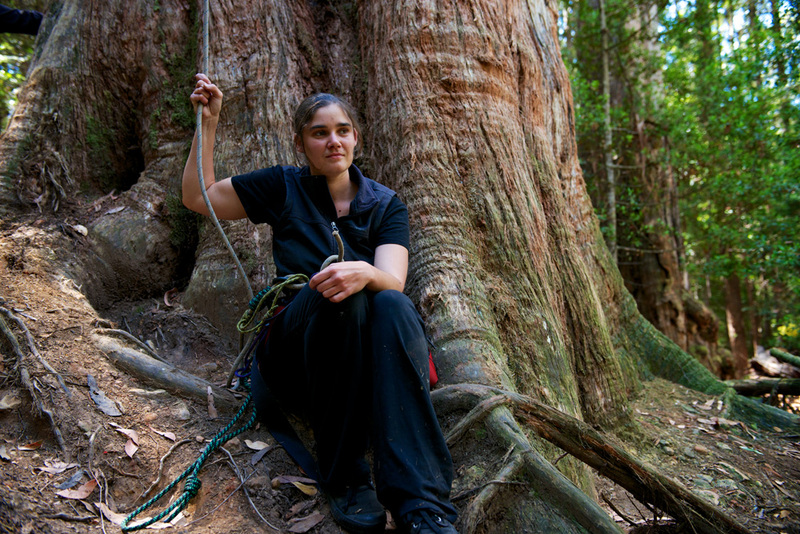 When Miranda first climbed the Observer Tree in December 2011 she sought to highlight the threats to the stunning forests in which she was living. These world heritage value forests have been scheduled to be clearfelled by Tasmania’s voracious and unsustainable logging industry. Through Miranda, the story of these forests has reached the world, through amazing national and international media such as CNN, The Guardian and Al Jazeera. Please contribute to the Observer Tree fund here, and please share with your friends and share on social media. Posted on March 10, 2013, in Events. Bookmark the permalink. Leave a comment.